A dog bites child incident a Southwest flight in Arizona raises new questions about dog bite safety. Below, I opine about an incident that happened on a Southwest flight departing from Phoenix, Arizona in February 2018. News stories about the incident were as follows. A six-year-old girl was boarding a plane in Phoenix. She noticed a dog on the first row against the bulkhead. The owner allegedly asked the child to stand back, but she did not listen. The dog inflicted a bite on her forehead. What probably happened is that after the child noticed the dog, she bent downwards towards the dog. My expert opinion is that the child placed herself within “striking distance” of the dog. Published studies in the dog bite literature indicate that when a dog inflicts a bite on a child’s face, it is usually the result of the child bending down towards the dog. And in this instance, it is likely that the dog became aggressive because of fear arising from the sudden movement towards its face by an unfamiliar person. Fortunately, the child only sustained a minor injury to her forehead. A Southwest spokesman said the dog’s teeth scraped the forehead of the child. No mention was made of the dog’s breed, however. This is not the first time airlines have been forced to deal with the issue of safety caused by the presence of dogs. For example, several years ago United Airlines and others blacklisted certain breeds from traveling in the cargo area, such as Dobermans and Rottweilers, following an incident where a pit bull broke out of its cage and chewed through electrical wires. This policy was eventually rescinded after public outcry, however. An airline should not blacklist dogs from flying with their owners in the cabin section of the plane because of the strong emotional ties owners have with their dogs. Mental health experts unanimously agree that the emotional support provided by a dog likely lessens a person’s anxiety of flying. The current policies of airlines only state that an emotional support dog can be denied boarding if it behaves poorly, and this, in fact, this is what happened in the incident in Arizona. No documentation about the animals past training is required, but flight attendants may question the owner about the emotional support the dog provides owner. And most airlines require documentation from a mental health professional to substantiate the claim of emotional support. What are the prevention steps? So how can the airlines now act to increased dog bite safety on airplanes? Further consideration should be given to the marked increase in passengers traveling with “emotional support dogs”. Besides dogs, passengers are traveling with different animals, such as snakes, birds, cats and even pigs. All supposedly providing emotional support. The airline industry may not have a solution because of federal law which dictates “reasonable accommodation” for emotional support animals under the Fair Housing Amendments Act of 1988 (FHA or FHAct). One solution is that all dogs must remain in the carriers until the seat belt safety warning light turns off. Another solution is better supervision of a child by the parent. 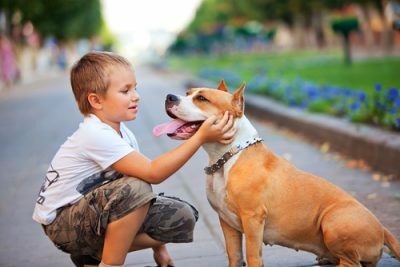 Lack of adequate supervision over child near an unfamiliar dog is a common reason why children get bitten by dogs. I have seen the defense argument of lack of supervision over a child on many occasions in dog bite lawsuits. However, the best solution to deal with this issue, but one which is probably impractical, is that all emotional support dogs be certified as a “good citizens” through the program sponsored by the AKC. Expert opinion about dog bite safety in different contexts can be found elsewhere on this website. Dr. Polsky’s opinions about strict liability for dog bites in California and Arizona can be found here. 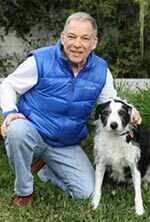 Richard Polsky, Ph.D. has successfully served Arizona attorneys as a dog bite safety expert. He available for assignment on cases that involve common issues found the dog bite litigation such as provocation, negligence, and breed tendencies.